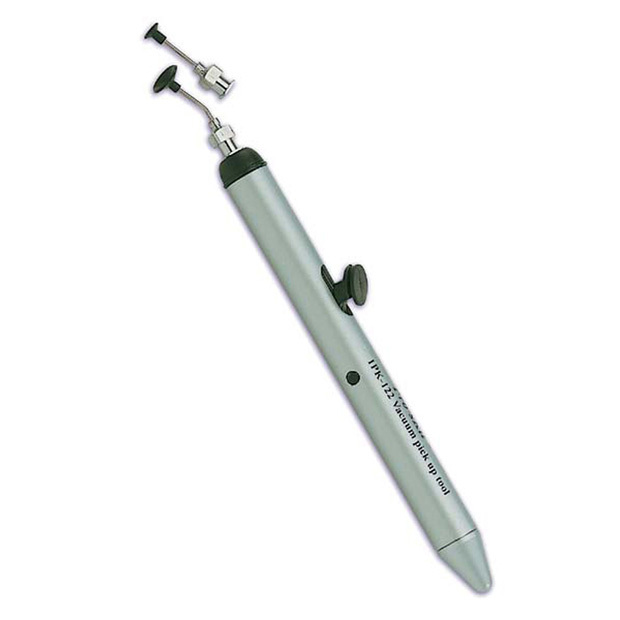 The hand-held SMD vacuum pickup tool is ideal for picking up and moving electronic components, large or small. With fountain pen dimensions. It fits easily into your hand or pocket. And its new high-power probes have longer holding action. Held like a pen, the Vacuum is operated by a simple press and supplied with 2 angled and 3 straight pick-up hands with a choice of 4mm, 6mm or 10mm cap diameters.